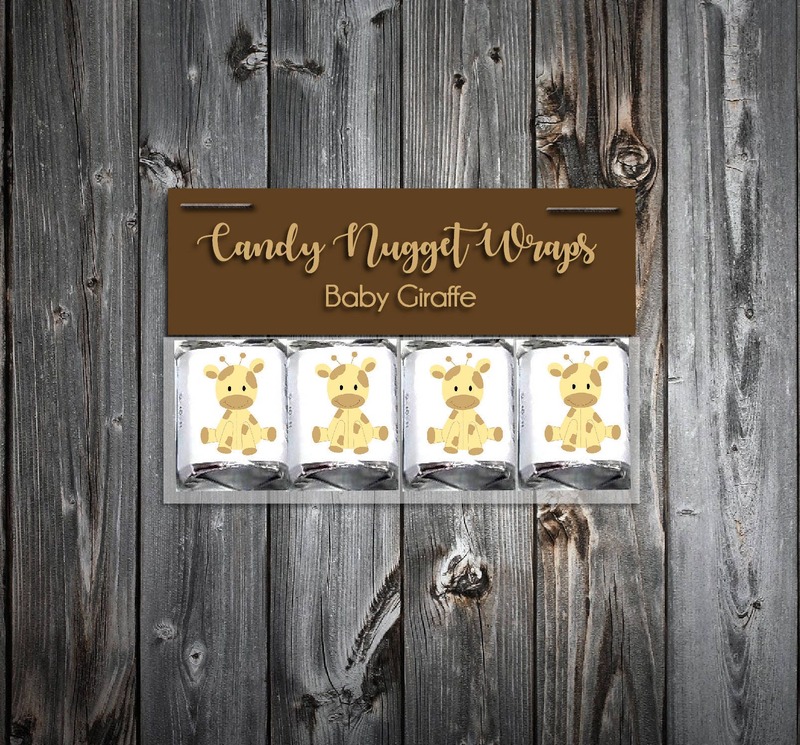 60 GIRAFFE Baby Shower Candy Wraps Favors. Includes printing. ~ Candy Wraps~ only 4 cents each! When you receive your candy wraps, they will be all ready for you to put on Hershey Nugget candies! Fits Hershey’s Nuggets® Size Chocolates. Candy NOT included! Comes in white only and these are self stick. The color of the font can be changed. Same picture will be made for all of your candy wraps unless otherwise specified. Shipping: This item will be shipped 1st class mail and you will receive a tracking number when the item ships. Once your item ships please allow 2-5 days for delivery. Need more or less than 60? Just message me and I can create a custom listing for the amount that you need. These are only 4 cents each! Please check our policies page for all shipping, email and wording submission questions.